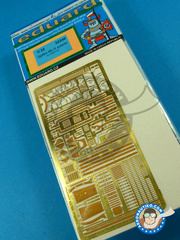 This week huge unload comes from the Czech Republic, with a handful of Eduard references for 1/32 and 1/48 scales, and mainly for World War II plane kits from Tamiya, Hobby Boss and Italeri. 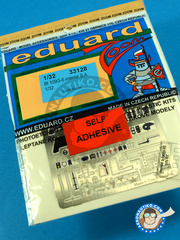 The packet contains 1 full set of replacement photoetches for cockpit of the finest Eduard quality to replace the parts on the Italeri kit. 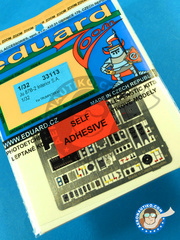 The packet contains 1 full set of replacement photoetches for ejection seat of the finest Eduard quality to replace the parts on Italeri kit. 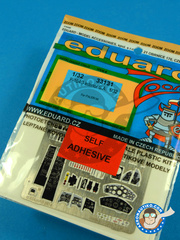 The packet contains 1 full set of replacement photoetches for interiorof the finest Eduard quality to replace the parts on Italeri kit. 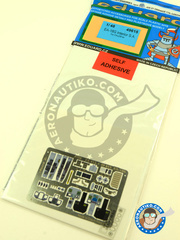 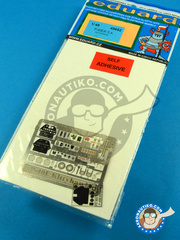 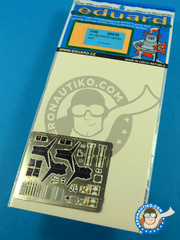 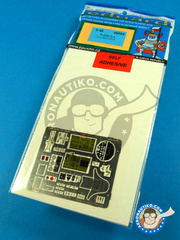 The packet contains 1 full set of replacement photoetches for cockpit of the finest Eduard quality to replace the parts on the Hobby Boss kit. 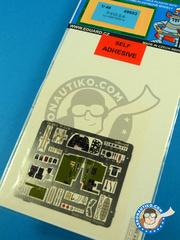 The packet contains 1 full set of replacement photoetches for cockpit of the finest Eduard quality to replace the parts on Tamiya kit. 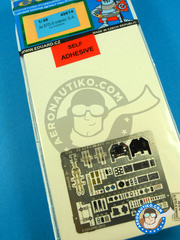 The packet contains 1 full set of replacement photoetches for cockpit of the finest Eduard quality to replace the parts on Italeri kit. 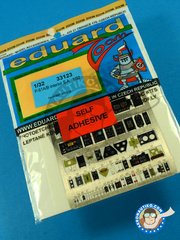 The packet contains 1 full set of replacement photoetches for rear interior of the finest Eduard quality to replace the parts on the Italeri kit. 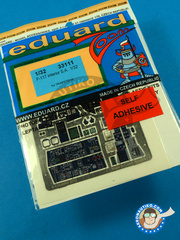 The packet contains 1 full set of replacement photoetches for rear interior of the finest Eduard quality to replace the parts on the Revell kit. 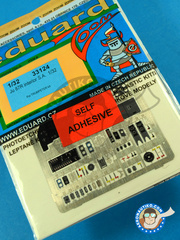 The packet contains 1 full set of replacement photoetches for cockpit of the finest Eduard quality to replace the parts on Trumpeter kit. 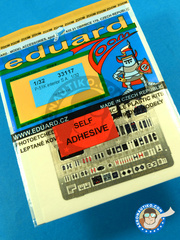 The packet contains 1 full set of replacement photoetches for interior of the finest Eduard quality to replace the parts on The Trumpeter kit. 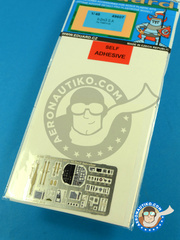 The packet contains 1 full set of replacement photoetches cockpit of the finest Eduard quality to replace the parts on Tamiya kit. 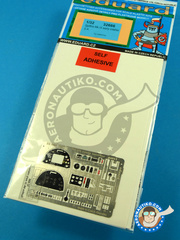 The packet contains 1 full set of replacement photoetches cockpit of the finest Eduard quality to replace the parts on Hobby Boss kit. 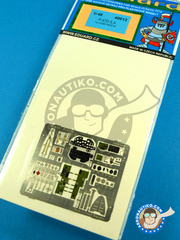 The packet contains 1 full set of replacement photoetches of the finest Eduard quality to replace the parts on Tamiya kit.